This is an eerie small town suspense story with a cast of complicated characters, none of whom appear terribly trustworthy. When Jericho, an LA detective and former US Marine, returns to his hometown, he finds himself investigating his father’s death. The only people who can help him are murder suspects themselves or law enforcement officers suspected of corruption. Jericho is an original character. Raised in an abusive home on the wrong side of the law, he made a complete break from his past when he joined the military. But when he is pulled back into his hometown, he is dragged into old habits and relationships as the boundaries between right and wrong start to blur. This isn’t an m/m romance. Jericho is a gay man and he does have unfinished business with an old lover, but the story is more about his family and his complicated hometown. With her honest depiction of grinding rural poverty and her refusal to offer easy boundaries between good and evil, the author has crafted a compelling series. This is the first book in a series and it needs to be read as a series. The first book sets up the relationships and dynamics in the border town of Mosely, Montana, but it asks more questions than it answers. I finished this book and immediately started the second one but that just let me with an even bigger plot twist, waiting for the next book. I’m hooked on the series but I would have liked a few more answers in each individual story. 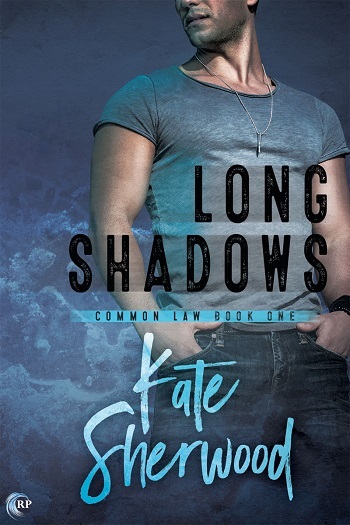 Reviewers on the Wicked Reads Review Team were provided a free copy of Long Shadows (Common Law #1) by Kate Sherwood to read and review.